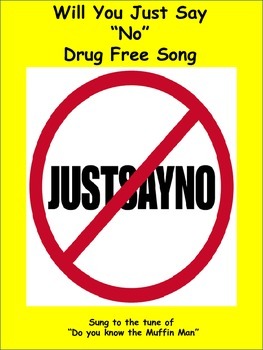 This Drug awareness song is sung to the tune of "Do you Know the Muffin Man". My students performed it during our Kick off program for Red Ribbon week and it was a huge hit. This is the first verse. a drug free kid, a drug free kid? Will you be a drug free kid? Will you just say NO! Three more verses are included with your purchase.